As I write this, I’m on hold with a Verizon representative, who has left me on hold for six minutes as he investigates why our internet connection keeps dropping every five minutes. For every minute that goes by without hearing his voice, I know (from prior experience, unfortunately) my chances increase for being hung up on. I’m now up to minute 26 on this call. When will he return? I participated in a poetry reading on Saturday which – in the way that good readings do – renewed my interest in my own work and in others’, gave me a surge of energy and made me remember why I write poetry even when most of the world gives it a thumbs-down and a broad yawn. Sometimes at a reading, you feel that the writers are connected, that they are all heading for the same place, though stylistically getting there in different vehicles. This was such a reading, when humor, image, feeling came together into a wondrous whole that echoed the newborn spring weather. 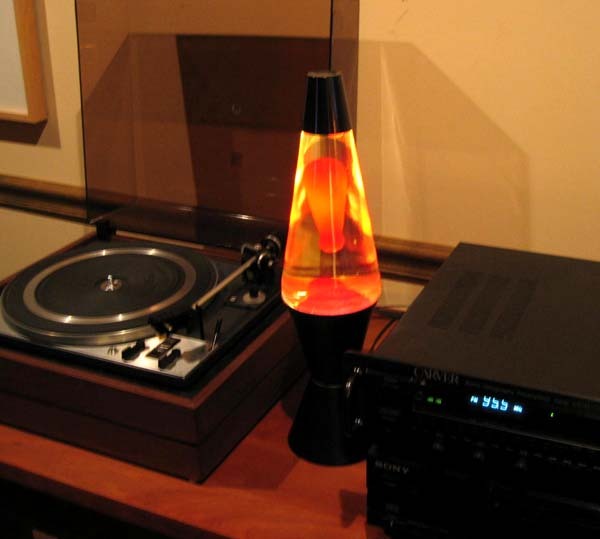 One poem that particularly affected me was Michael Gushue’s “Poem Beginning Inappropriately With A Line By Marianne Moore,” which invokes the image of a lava lamp. I still use my lava lamp from college; when I come downstairs in the morning, it’s often the first thing I turn on. I was sick a number of times this winter, and watching the teal globes pinging the glass, and each other, as the bulb heated somehow helped me through the dreary winter days. A reminder of heat, of connection? … What is it time tells us? inside. If we hunker down, we’re one.